The Election Fix, Episode 3: Who will fill the political vacuum in Tamil Nadu? Fact check: Will all banks be closed every Saturday starting June 1? Despite high revenues, the state spends poorly on education and health, which is evident from the state of its schools and hospitals. Pradip Kumar Behera is trying to beat the odds. A bespectacled man in his late thirties, he is the headmaster of the government school in Unchabali, a village in Odisha's mineral-rich district of Keonjhar. Under his watch are 144 students, mostly from the poorer families in the village, studying in classes from the first grade to the eighth. The school has a tree-filled playground and pucca buildings for its classrooms, but just four teachers. Behera is trying to cope by running four – not eight – classrooms. Students in the first grade share a room with those in the second. The third and fourth graders sit together, as do those in the fifth and sixth, and the seventh and eighth grades. While the seventh graders sit to the left of the aisle, the eighth graders sit to the right. The teacher spends an hour with the seventh graders, gives them an assignment, moves to the other side of the room, gives the eight graders an assignment before swinging back to the seventh graders. The solution is unsatisfactory and troubles Behera. The school runs between 10 am and 4 pm – that's six hours, not counting the time taken out for the midday meal. “The kids are getting an education for less than three hours every day," he said. "The education we got was better. We need at least six-seven teachers." A 'double classroom' in the government school in Unchabali. Things are no different at the village of Jaribahal on the road connecting Unchabali to the mining town of Joda. This school too has a terrible teacher to classroom ratio: 96 students, five classes, and a grand total of two teachers. Not just the poor districts of Odisha, teachers are in short supply even in the comparatively better-developed coastal region. 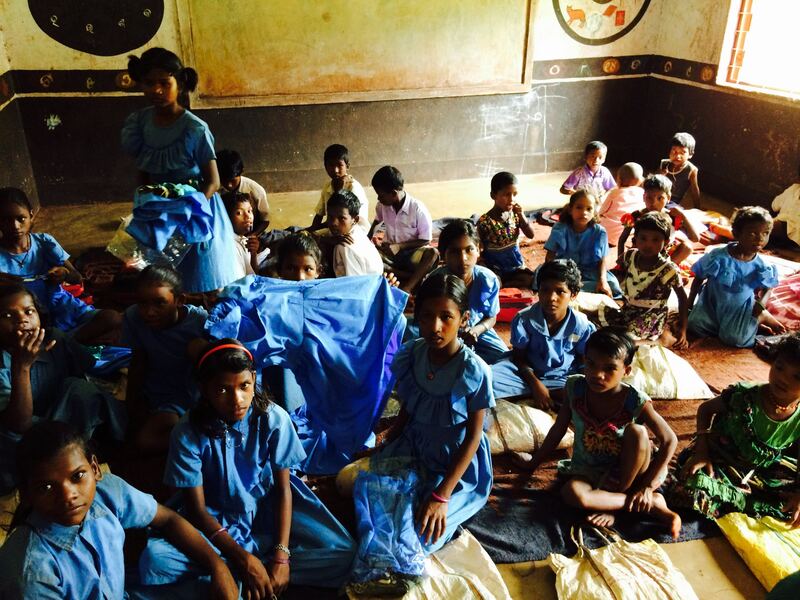 In the district of Kendrapara, about 100 kilometres to the north-east of Bhubaneswar, a government primary school from first grade to the fifth has 69 students and three teachers. This school has no desks or benches. The children sit on the floor and study. The headmaster, who did not want to share his name, said he ran a "double class" for the first and second graders, which meant they shared a room, and so did those from the fourth and fifth grades. Only students in the third grade got a class to themselves. This is a recurring pattern across Odisha. A report published in the Times of India in October 2014 pegs vacancies in the state's primary schools at 36,137 teachers. Take all grades from first to twelfth, said Pravas Mishra, a researcher with Oxfam, and the shortage of teachers will not be less than one lakh staff. Move from education to health and the same shortages prevail. The tribal district of Kandhamal, often in the news for tensions between Dalits and tribals, is home to 731,952 people as per the 2011 census. In the entire district, where press reports estimate no less than 154 infants died in local hospital between April 2015 and July 2015 alone, there is just one government paediatrician. A part of the puzzle has to do with the disinclination of qualified professionals to work in tough areas. Schools in coastal Kendrapara have more teachers than the ones in Keonjhar. And within Kendrapara, municipal schools have more teachers than ones farther away from the town. One of the reasons people get to pick and choose their postings : the state doesn't produce enough doctors, lab technicians and nurses to meet its requirements. Those who pass out of medical school do not want to work in the government. A senior IAS official, speaking on the condition of anonymity, said, “We recently advertised 370 vacancies for MBBS doctors offering them a monthly salary between Rs 80,000 to Rs 100,000. Just 108 were willing to join. And even those, mostly in the coastal areas. Not in the interior.” The doctors preferred private sector jobs, he said. The staff shortages are also linked to Odisha's puzzling tendency to spend very little on education and health. In Mizoram, this correspondent had found acute delays in funds reaching health organisations. A large part of the reason lay in the nature of the state's economy. While Mizoram has little revenue of its own – just Rs 500 crore was generated last year – it has high monthly expenditure on salaries, courtesy a bloated government which also runs populist schemes. For the crucial social sectors like health, government spending depended on when the money arrived from the Centre, and when the state treasury released it. But Odisha is nowhere like Mizoram. The state's own revenues are a little above Rs 30,000 crore each year. With the funds that come from the Centre, the total revenue swells to Rs 83,181 crore. The state even has a Rs 5,100 crore revenue surplus. And yet, look at the state's expenditure numbers and you see just Rs 3,000 crore allocated to health. With another Rs 1,000 crore coming from the Centre, the overall spending is just 4.8% of the total government revenue. Education gets Rs 11,000 crore. Of this, in 2014-'15, about 1,281 crore came from central programmes like Sarva Shiksha Abhiyan, Mid-Day Meal scheme and Rashtriya Madhaymik Shiksha Abhiyan. Travelling in the countryside, it becomes evident how meagre this Rs 11,000 crore allocation is. Some schools lack boundary walls. Many have neither toilets nor furniture. 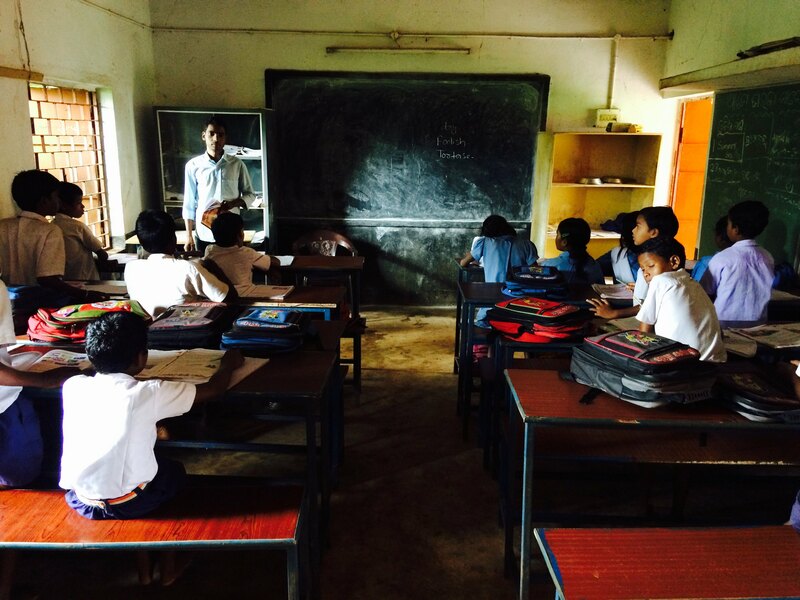 “Teaching and learning equipment is not there,” said an official at the Sarva Shiksha Abhiyan office in Kendrapara. School children get new uniforms in the primary school at Jaribahal. Like other government schools, this one is short-staffed. “The money coming in from the government is the only source of money for these schools, whether for academics, co-curricular work or building school infrastructure," said the official. "And you will find in all schools that the buildings are not in a good shape." Why isn't Odisha spending more on education and health? Abhijit Sen, a former member of the erstwhile Planning Commission, put Odisha's spending in perspective. In the late nineties, he said, Odisha was in financial trouble. Inflows were low, expenditures were high, borrowings were out of control. It took the state about five years to engineer a turnaround. At that time, for instance, to reduce administrative expenses, it stopped appointing staff. Since then, says Sen, the state has been fiscally conservative – in terms of not wanting to run into deficits again. In 2015-'16, for instance, the state is aiming to end the year with a balance of Rs 5,101 crore. Even so, as in Mizoram, a large chunk of Odisha's budget goes into running the state government. The state's expenditure on salaries and loans alone takes out about half of that Rs 83,181 crore. At the same time, the state also runs a bevy of populist programmes. Students get free bicycles. The poor get blankets in the winter. A payment is given in the event of a death in the family. Many have likened these schemes to the Tamil Nadu welfare model. In response, state departments, which had to contend with staff shortages, have moved along analogous lines. Some divert plan funds for meeting non-plan expenditure, said Oxfam's Mishra. Others have tried outsourcing. The state's disinclination to recruit has especially affected teachers and junior medical positions like attendants and cleaning staff. In response, the education and health departments, said Mishra, are using central allocations from Sarva Shiksha Abhiyan and National Rural Health Mission to fill holes in their staffing. Or, they are hiring staff using short-term contracts. These, says the health official, can be as short in duration as 11 months. This has resulted in a fresh conundrum. Take the state's health machinery. 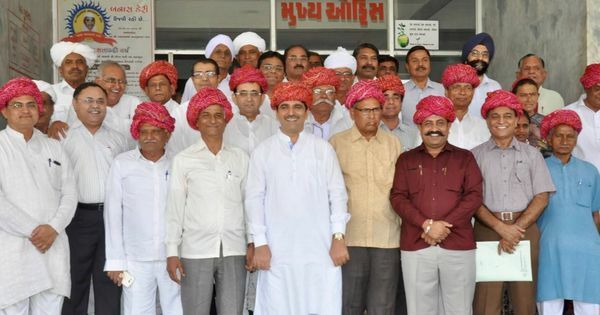 A part of its staff, hired by the state government, gets benefits along with its salary. Another lot, hired under the National Health Mission, gets a high salary but no benefits. And a third lot, hired on contract, usually gets no job security and a low salary. This is especially visible in teaching. Odisha has one set of teachers who have been hired through the Centre's programmes, another set hired by the state, block grant teachers who teach in private schools but are paid by the state, and in addition, low-paid shiksha sahayaks (teaching assistants). All, said the IAS official, “do the same job but get different pay scales and with different future prospects”. Or take Unchabali. Two of its four teachers, said Behera, are shiksha sahayaks. They make Rs 5,200 a month. After three years, their pay will rise to Rs 7,000. The principal makes Rs 18,000. The outcome has been predictable. Take the shiksha sahayaks. Mostly matriculates, they were initially hired as contractual assistants to teachers. Over time, however, they unionised and pressed for regularisation, a demand that the government accepted. They were brought into the system and now work as teachers. “That created the precedent for other contract staff to follow and start protesting as well," said the IAS official. In September, 40,000 block grant teachers went on strike, pressing for equal pay. The number of affected students who went without classes ran into lakhs. It is a fraught situation. You see the classroom in Unchabali and wonder, like Behera does, how these children can possibly compete with their peers who get six hours of teaching every day with a different teacher for each class. Odisha, as Sen says, should get out of this obsession with fiscal conservatism. Alternately, it should have tried harder to generate more revenues while its economic boom was underway. But, as the next set of stories in this series will show, it muffed that opportunity good. Support our journalism by subscribing to Scroll+ here. We welcome your comments at letters@scroll.in.